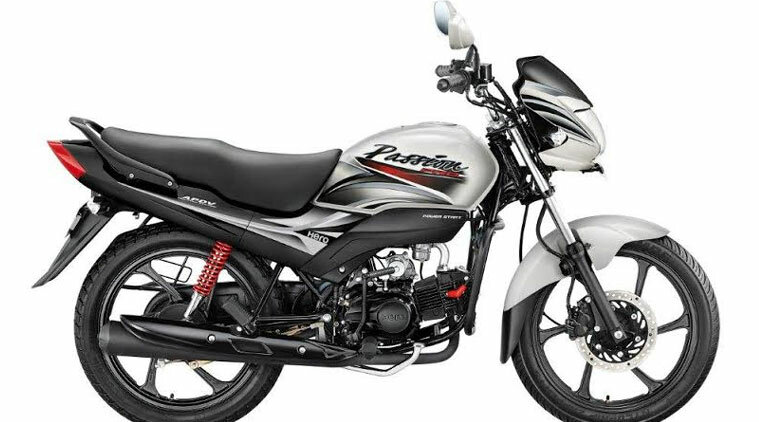 Hero MotoCorp has launched the updated 2015 Passion Pro in the Indian market at a starting price of Rs. 47,850 (ex-showroom, Delhi). The new model has received minor cosmetic and mechanical changes. The new Passion Pro comes with a more appealing look along with a more potent engine. Hero MotoCorp launched the bike for the first time in the year 2001 with the name tag of ‘Passion’. Since then, being a popular product in the 100cc segment, the bike has been catering to the demands of its huge customer base. The Hero Passion Pro has gone through several cosmetic changes over the years. Now, the Indian two-wheeler giant has reinvented the bike and has equipped it with a more powerful motor that gives improved fuel economy. The new Passion Pro is more stylish and powerful and has features such as flush type fuel tank cap, 240 mm front disc brakes, power start, front side cowl, new tail light and digital- analogue combo meter, Hero MotoCorp said in a statement. The new Passion Pro comes fitted with a 97.2cc APDV engine that generates a maximum power of 8.4PS @ 8000 rpm and a peak torque of 8.05 Nm @ 5000 rpm. The new bike features a Flush Type fuel tank cap which adds convenience to the rider. Also, it has got plenty of brake power which provides greater safety to the customers. The fuel tank comes with a capacity of 13.5 litres. Apart from this, the new Passion Pro employs 240mm front disc brakes, new tail-light and clear indicators to make your ride safer. Besides change in power, the 2015 Passion Pro also gets new front mudguard, new LED tail-lamp, and a new 6-spoke alloy wheels. The bike is available in eight shades such as Black Sports Red, Black HeavyGrey, Black Frost Blue, Sports Red, Force Silver, Bronze yellow and twocompletely new colours which are Matte Brown and Majestic White. The new model is now available at all Hero dealerships across the country.